50 Famous Firearms You've Got to Own reveals shooting guru Richard Hacker's favorite guns and provides the ultimate wish list for every firearms enthusiast in America. After almost 40 years of shooting, researching and writing about guns, Hacker has narrowed down his must-have fi rearms list in this one-of-a kind guide. 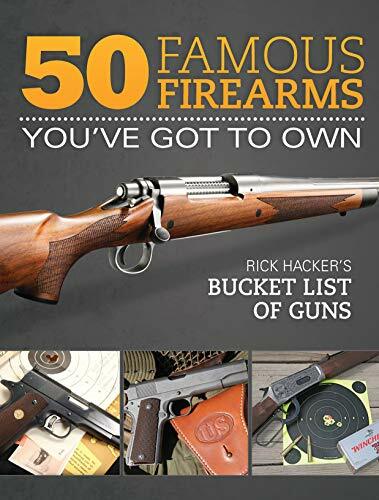 Whether you're looking to start a bucket-list gun collection or just enjoy reading about great all-time firearms, this book details 50 hall-of-fame guns in informative, entertaining fashion. It's an unparalleled buyer's guide for enthusiastic shooters and collectors. If you have any questions about this product by Gun Digest Books, contact us by completing and submitting the form below. If you are looking for a specif part number, please include it with your message.